Funko has announced their NYCC 2017 Exclusives! 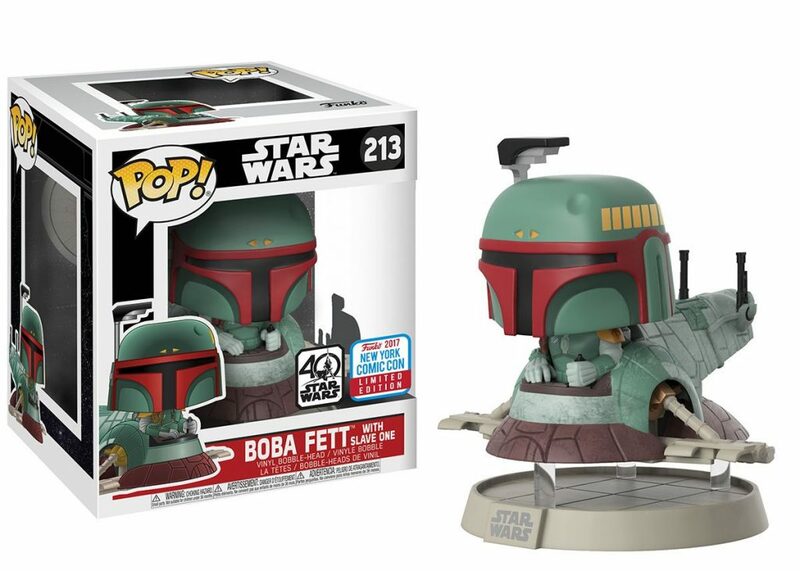 In what will probably be a devastating blow to collector’s pockets, the Star Wars exclusives feature a new K-2SO, a young Saw Gerrera, a new Jyn Erso, a chrome Death Star Droid, Dengar, and a POP Deluxe Boba Fett’s Slave I! 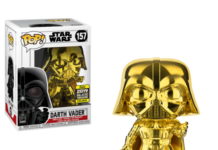 In past years Funko NYCC Exclusives have gone up in value rather quickly (Qui-Gon Jinn anyone? ), and these will probably be just as sought after. Star Wars Princess Leia Pop! 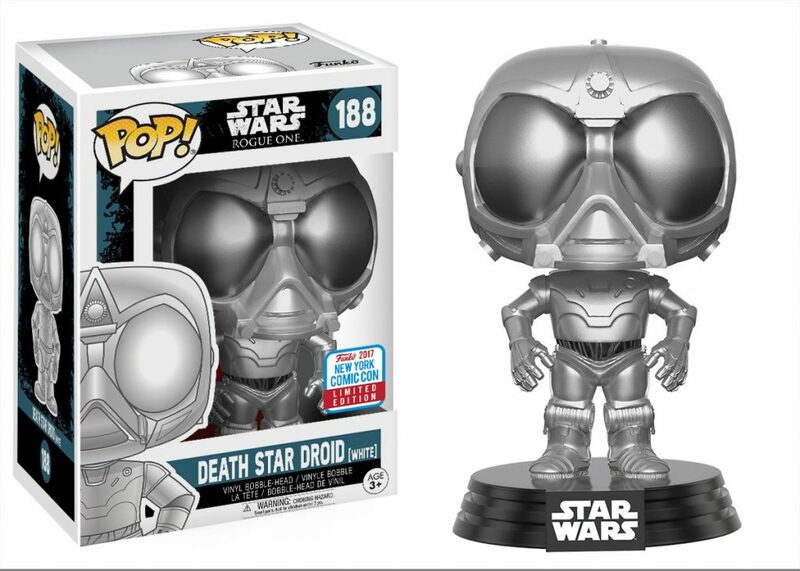 Vinyl Figure Bobble Head from Entertainment Earth! 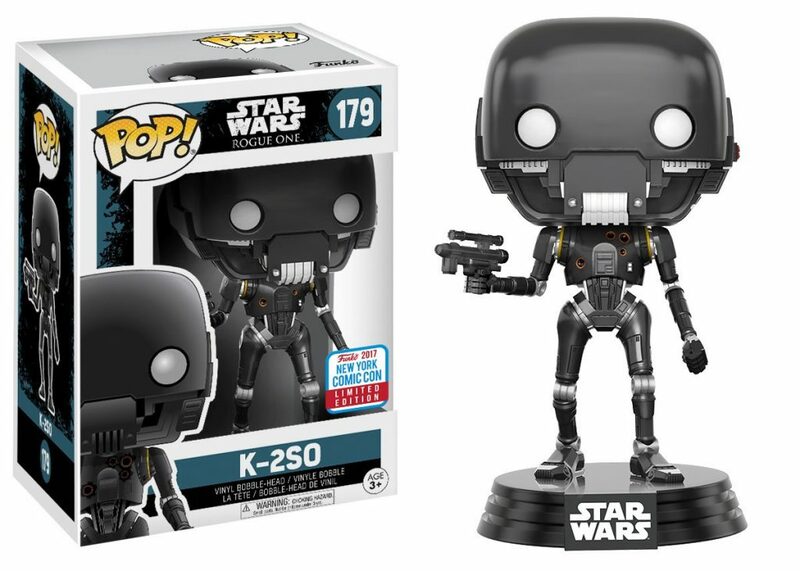 Star Wars Rogue One K-2SO Pop! Vinyl Bobble Head from Entertainment Earth! Order Star Wars Gamorrean Guard Pop! Vinyl Bobble Head from Entertainment Earth! 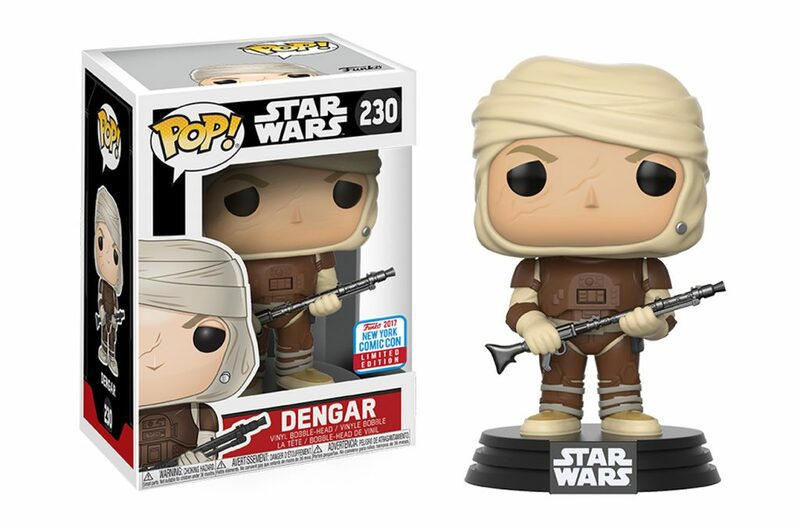 Order Star Wars: TFA FN-2199 Trooper Pop! Vinyl Figure from Entertainment Earth! Order Star Wars Rogue One Chirrut Imwe Pop! Vinyl Bobble Head from Entertainment Earth! 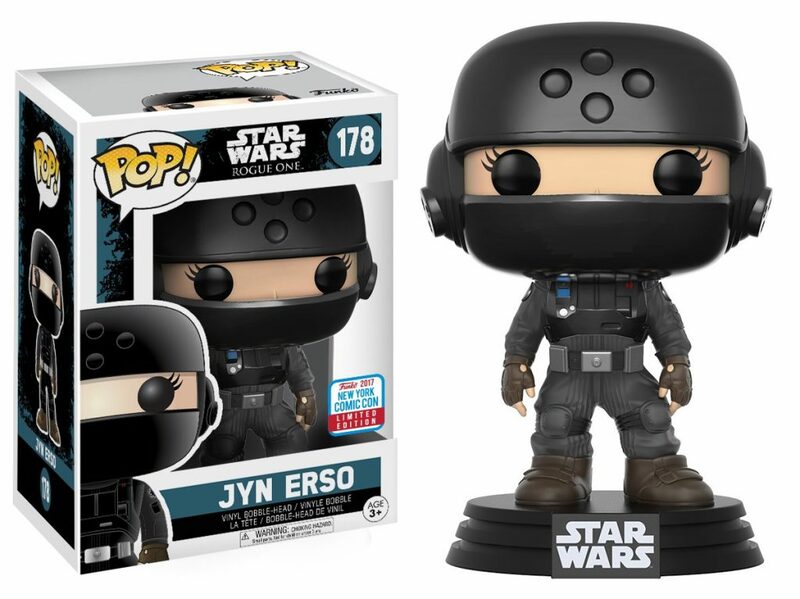 Order Star Wars: TFA Unmasked Kylo Ren Pop! Vinyl Figure from Entertainment Earth! 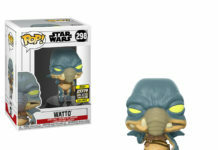 Order Star Wars: TFA Maz Kanata Pop! 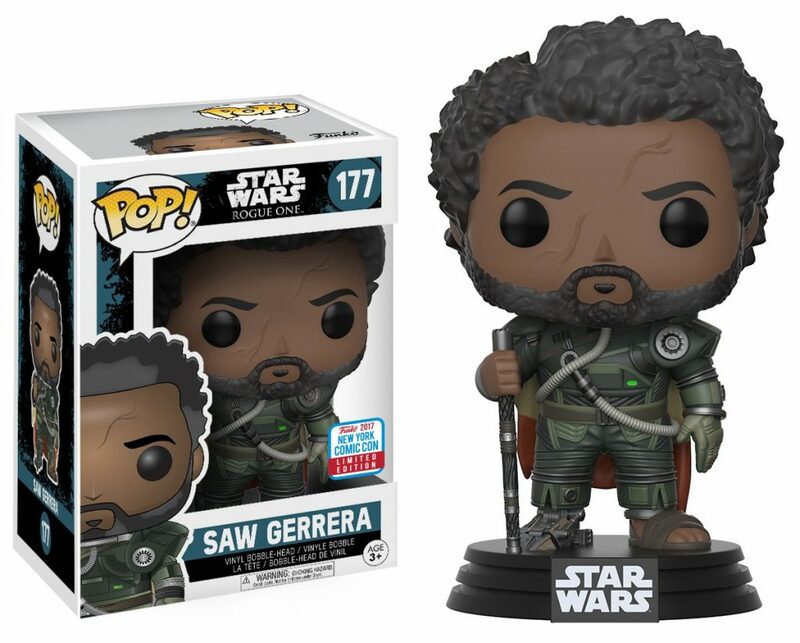 Vinyl Figure from Entertainment Earth! Order Star Wars Jabba the Hutt Pop! Vinyl Bobble Head from Entertainment Earth! Previous articleColin Trevorrow Out as Episode IX Director!